Below is a comprehensive list of hotels in Lynton. 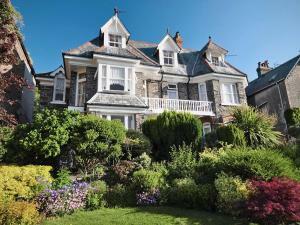 Use the sort links to refine your search or to find featured accommodation in Lynton. Many of our hotels in Lynton feature no booking fees and best price guarantee when booked through the Pictures of England website. 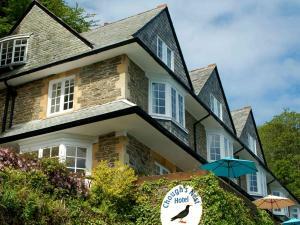 To list your hotel in Lynton, click here. 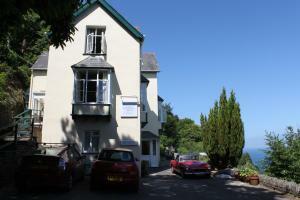 Featuring free WiFi, a restaurant and a sun terrace, The Sandrock Lynton offers accommodation in Lynton. Guests can enjoy the on-site bar. Free privat..
On the Exmoor Heritage Coast, Kingford House in Lynton is set in its own garden at the base of Hollerday Hill, and looks out towards the Valley of the.. 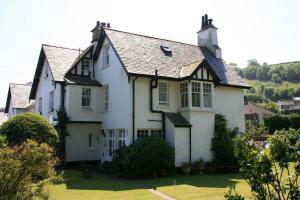 Located in Lynton, within Exmoor National Park, The Denes Guest House offers offers bed and breakfast accommodation. 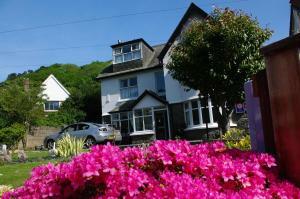 Free WiFi is available throughout..
Victoria Lodge is a holiday home set in Lynton, 44 km from Swansea. 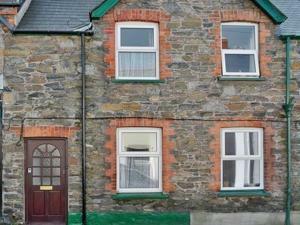 The property is 23 km from Barnstaple and boasts views of the city. An oven, a to.. 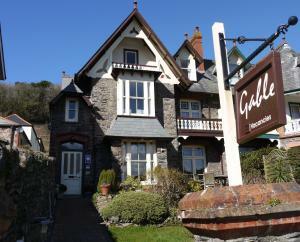 This family-run Grade II listed Victorian guest house offers free on-site parking and is less than a mile from The Valley of Rocks and Lynton & Lynmou..
With multiple silver awards and a 4-star rating from AA, Southcliffe B&B provides high-quality accommodation and an extensive breakfast menu. 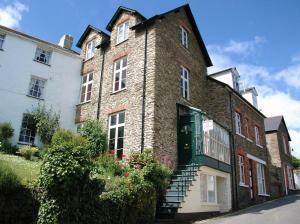 On the n..
Fernleigh Guest House is set in Lynton and free private parking is available on site. Each room is equipped with a flat-screen TV. You will find a ke.. 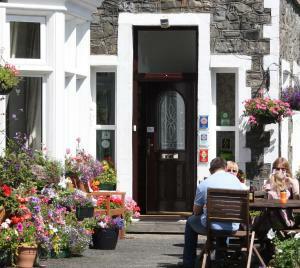 Located 44 km from Swansea, Little Fern offers pet-friendly accommodation in Lynton. 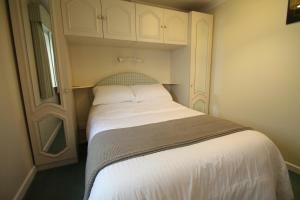 The property is 23 km from Barnstaple and free private parking is.. Situated in the charming village of Lynton, 10 minutes' walk from the North Devon coast, Rockvale has its own bar, restaurant, free Wi-Fi and free par.. In the beautiful Exmoor National Park village of Lynton, Lee House provides high-quality bed and breakfast accommodation on the north Devon coast. 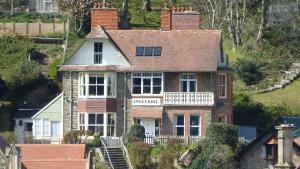 It ..
Ingleside is located in Lynton, on the edge of Exmoor National Park and the South West coastal path. 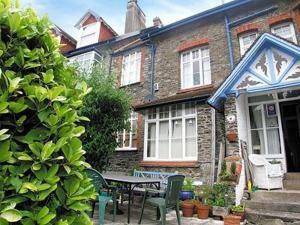 Free WiFi is featured throughout the property and..
Set in Lynton, this holiday home is situated 44 km from Swansea. The unit is 23 km from Barnstaple. The unit is fitted with a kitchen. Towels and bed..
Burlington is a holiday home set in Lynton in the Devon Region and is 44 km from Swansea. The unit is 23 km from Barnstaple. The kitchen features an ..
With a fantastic location in Exmoor National Park on the cliffs of the North Devon coast, Chough’s Nest Hotel offers free Wi-Fi and free parking. It..
Waterloo House is situated within Exmoor National Park and less than a mile from the coast. 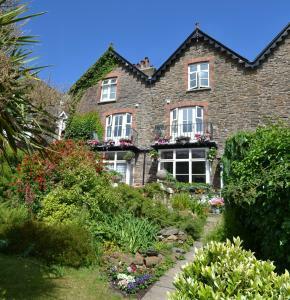 The property sits at the top of a gorge above Lynmouth, to..
Overlooking the sea, the North Walk House is situated on the cliff above Lynmouth Bay. The rooms and garden terrace have ocean views stretching toward.. Situated in the small town of Lynton, by the estuary of West Lyn River, Seawood Hotel boasts elegant rooms with sea view, free Wi-Fi, an outdoor seati.. 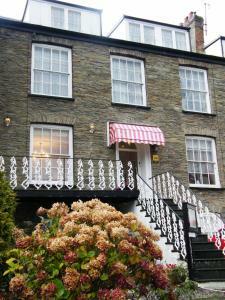 The Fernery B&B offers accommodation in Lynton. All rooms come with a flat-screen TV. You will find a kettle in the room. For your comfort, you will ..
Boasting spectacular views of the North Devon coastline from the hilltop town of Lynton, The North Cliff Hotel is positioned some 500 feet over the sh..